Hello everyone, thanks for stopping by for the 25 August blog post! This week we released update 1.5 for Bloons Super Monkey 2 mobile! This update continues through Helium Heights, introducing 7 brand new levels for you to tackle! Tower Keepers: 2x Rewards for Hero Battles. Double Gold sale and Ranger skin released! BTD Battles: BFB on Friday, MOAB on Saturday, BFB with no random tower and BFB Random Cards on Sunday. Bag and Chest on sale along with Mortar skins! SAS4 Web: Last Man Standing on Friday, Virus Samples on Saturday with Bounties, Apocalypse on Sunday with Black Box as reward on bounties. Epic Pack and Vitriol, Ronson 5x5 and CM 0Kelvin on sale! SAS4 Mobile: LMS on Friday, VS on Saturday with Black box as reward and Apoc on Sunday. NM Vet. Pack, Nantoniums and Planet Stormer, WPX Incinerator and HIKS A10 on sale! BMC web and mobile: Daily Monkey Teams with Knowledge Packs as reward on Saturday. Wild Card Knowledge Packs on sale! BTD5: Sale on Monkey Money and new Bomb Tower skins! Bloonvasion, Bosses and red bloons counting for pops on the leader board. BSM2: Blop Doubler activated for the store. Ninja Kiwi and non-Ninja Kiwi Game Combiner Competition Winners! 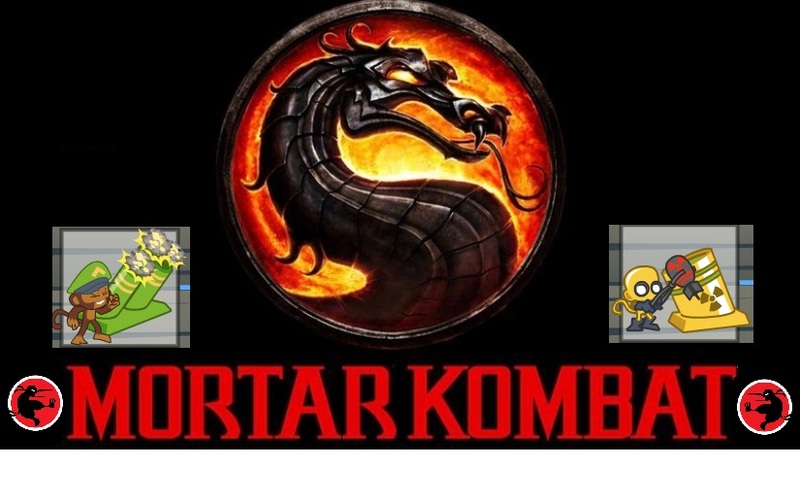 Edu TKD with "Mortar Kombat"
BTD Battles tournaments? Yes/No? Before or After BTD6? Or closer than you think? When will the next global event be in SAS4? Anything about SAS4 for Steam or Console? Nothing to confirm but being looked into. This would be a port of the mobile version if it happens. Are you going to convert your Flash games to HTML5 before 2020? Nope, they will stay as they are. What are your favourite 5 Heroes in Tower Keepers? Blackguard, Berserker, Ranger, Sorceress, Samurai. The very first Clan Challenge began on a Thursday The very first NK Blog began on a Thursday Clan Challenges shifted to a Monday (back in the day) NK Blog day moved to a Friday Why Thursday? I disagree with you Dark Halo. 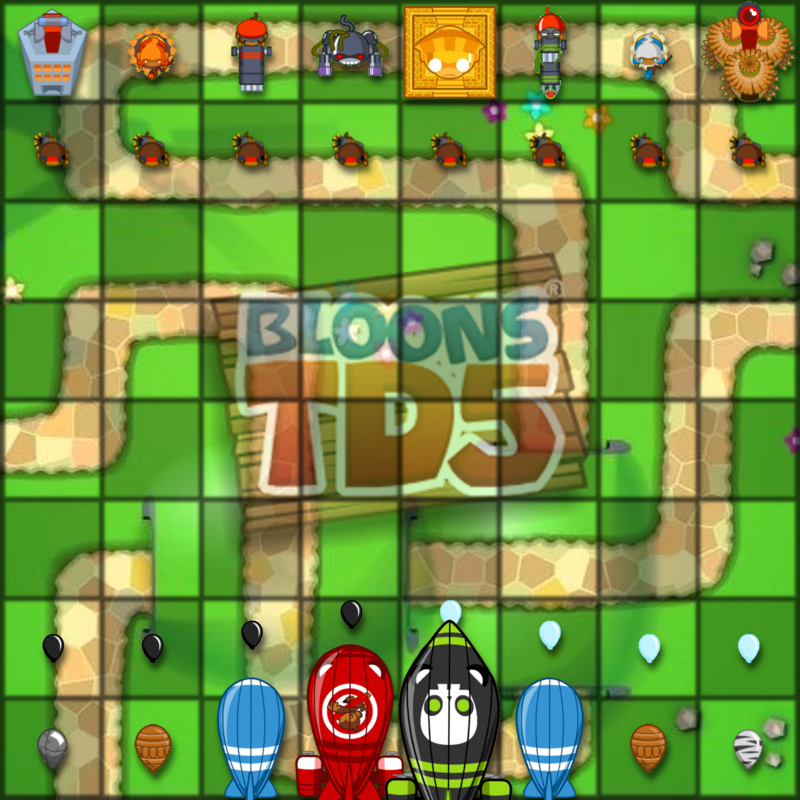 The BTD Battles maps are not repeated too often. Why is there going to be a BTD6? The fifth good enough already. Any chance of having Power Out, Survivors, Ice Station or Meltdown as Virus Samples maps during future Championships? The current maps are repeated too often. Aaron, what is the highest amount of stupid you can take in a question so that is still able to be answered in a blog post? When will you stop making/updating web games?